Can’t find your iPod? Cell phone? Textbook? Maybe even your umbrella? 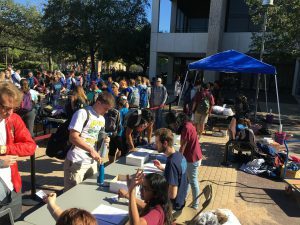 It might have been returned to the MSC Lost and Found. If you have lost something, please call the MSC at (979) 845-1515. If your item is still not found, please go to the Student Programs Office in MSC Suite 2240 from 8 a.m.- 5 p.m. We receive items from all over campus, so depending on where your item was lost, it may take a while to record the item in our inventory. Found something and want to give it to Lost and Found? Please bring all found items to MSC Suite 2240. MSC Hospitality hosts two Lost and Found Sales: one sale in the Fall and two in Spring. 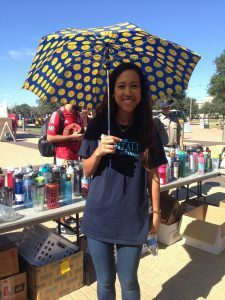 These sales take place in Rudder Plaza featuring lost and unclaimed (not claimed after 90 days) items. 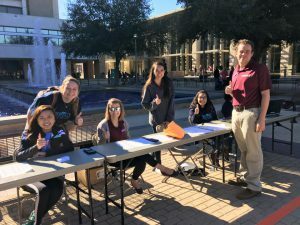 Funds raised also help the Student Programs Office successfully serve Texas A&M University students. All items not claimed after 90 days become property of the MSC s Lost and Found. Items less than 90 days old remain in the Lost and Found until the next sale.